The Congregation for the Causes of Saints in Rome has opened the process for the possible beatification of the late Archbishop Teofilo Camomot of Cebu, a church official said.Fr. Mhar Vincent Balili, vice postulator for Camomot’s cause, said the congregation, which is based in Rome, notified last January that they will give attention to Camomot’s cause. Balili said they still need to submit some “minor” documents, but he is confident that the congregation will validate their cause. If the congregation approves the diocesan process for Camomot’s beatification, local postulators will start coming up with a “position,” which will tackle the late archbishop’s life and works. Balili said they have “many testimonies” from people on the favors they received after praying to Camomot. But they have yet to find evidence that someone recovered from a major illness because of the late archbishop’s intercession. He said the proof of a miracle would support their cause to get the former archbishop recognized as a saint. Balili and others working for Camomot’s cause have asked Cebu Archbishop Jose Palma to come up with measures to speed up the beatification. Following the postulators’ recommendation, Palma has ordered all parishes in the Archdiocese to say a prayer for Camomot’s beatification before the start of masses every Monday. 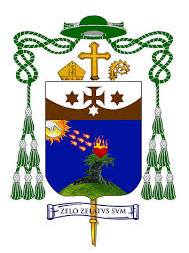 Palma also recommended to all vicariates to organize a “Duaw Camomot” or pilgrimage to the late archbishop’s tomb in the Mother House of the Daughters of St. Theresa in Barangay Valladolid, Carcar City every Thursday. Archbishop Palma plans to implement the idea after Lent. Five years ago, the Archdiocese of Cebu organized a committee that would oversee the diocesan process for Camomot’s cause. The committee closed the process in February last year and submitted its results to the congregation the month after. Camomot was born in Barangay Cogon, Carcar on March 3, 1914. He was the third of eight children born to Luis and Angela Bastida Camomot. He died in a car accident in San Fernando town on Sept. 27, 1988.